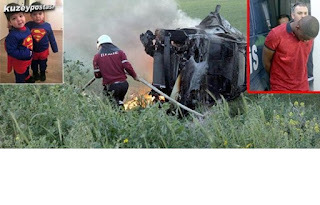 A toddler was killed and his twin brother, sister and mother were injured after the car they were in collided with a second car in a horrific accident along the old Famagusta-Nicosia road on Monday. The other driver was also injured. 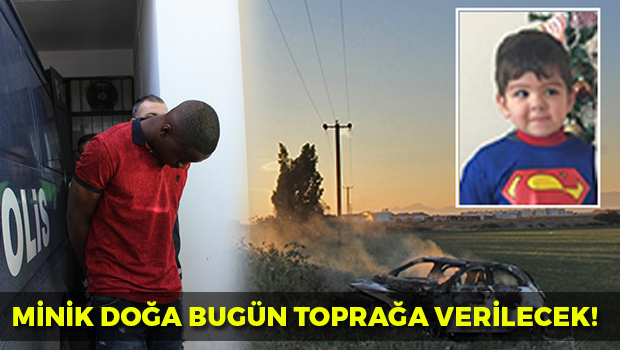 According to Turkish Cypriot police, two-and-a-half-year-old Doga Cicek died after Nigerian driver Enahoro Arausi, 22, reportedly tried to overtake the car ahead being driven by Ipek Kaleli Cicek, 39, the child’s mother, from the right-hand side. It is believed the Nigerian’s vehicle hit Ipek Kaleli Cicek’s car, which was also in the right-hand lane, with Arausi losing control, and his car veering off the road and overturning. His car thereafter burst into flames, and the injured Nigerian man later transported to hospital. However, two-and-a-half-year-old Doga Cicek died on impact, according to Turkish Cypriot police reports, whilst his mother Ipek Kaleli and twin Deniz Cicek were slightly injured. His sister Ada Cicek, eight, suffered a broken jaw. Police have said Arausi will be arrested after being released from hospital. The investigation is continuing, they added.